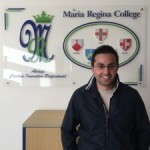 “Maria Regina College intends to offer the best education possible. This is not possible if the basic needs are not being seen to. This is not possible if certain challenging behaviour is not taken care of, or if family problems create an internal imbalance. Members of the Maria Regina College psycho-social team support students in our schools to help them come to terms with any problems encountered and therefore be receptive and calm enough to make good use of the educational opportunities offered. Respect for all, good behaviour and other similar issues are seen to. Consultation services for parents and school staff. Interventions to help students in their learning learning and development. Provision of support to children with special educational needs including: physical and/or intellectual disabilities; specific learning difficulties (e.g. dyslexia, dyspraxia); emotional and/or behavioural difficulties, communication difficulties (e.g. autism), visual and/or hearing impairments, giftedness, etc. Assessment and report-writing in relation to special educational provision (e.g. ‘statementing’, examination access arrangements). Liaising with other child-support services within the Department’s Psycho-social Section and with agencies and organisations external to the Department. The Counselling Services are offered by the Principal Education Support Practitioners – Counsellors, Ms Stephanie Ciantar Cassar and Mr Benjamin Calleja and the Trainee Counsellors Ms Nicolette Schembri and Ms Sonya Galea. Their role involves delivering counselling services in schools within the college. The team works together with the students “…with the aim of providing them with opportunities to explore, clarify, and work towards living in a more personally satisfying and resourceful way…” (Hoxter, 1998, p. 29). Common issues dealt with include, difficulties in making and maintaining friends, bereavement, fears, traumas, life transitions, anger, negative emotions due to bullying, separation and other life circumstances. Grant support to the schools in constructing a code of discipline. Create a positive relationship with the students in order to be a good role model for them. Provide support to teachers and school administration. Carry out observations in schools to determine and evaluate the working of the schools. Participate in the Students’ Council and the School Council. Create a positive relationship with parents so as to have a continuous educational process. Participate in European Programmes thereby acquiring a broader experience on this new role. The College Prefect of Discipline is ready to offer any required support or assistance as needs arise. Mr Giosue’ Pianciamore, Principal Education Support Practitioner – Career Advisor, is in charge of the Career Guidance Department. Together with Ms Anthea Vella, Trainee Career Advisor, guide students to make the best decision in relation to careers, subject choice and post-secondary courses. They work on projects, including the Year 6 to Form 1 transition exercise, in which year 6 students visit their prospective secondary school and start thinking on which subjects they would like to choose at secondary level. The Job Exposure initiative is another project which is carried out with Form 4 students. This initiative provides students with an opportunity to observe employees at work in various places for one week. Other career guidance projects include visits to post-secondary educational institutions, work places and school based career talks delivered by professionals. 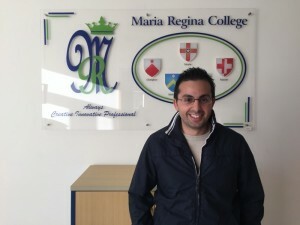 Moreover, he offers student career advisory services daily, within Mosta Girls’ and Boys’ Secondary Schools. This service may be related to concerns about studying, post-secondary course options, CV Building, interview skills and job searching skills. The Youth Worker focuses on further encouraging the personal, social, political and emotional development of the students and empower them. 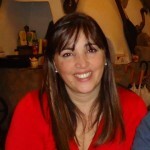 She strives to assist the students to achieve their full educational and social potential through acquired competencies. She focuses on the needs and the qualities of young persons and will aim at creating both one-to-one relationships and group interaction in a safe environment. She supports the students in their journey towards adulthood and enable them to fulfill their full potential as individuals. She focuses on young people within the Learning Support Zones (LSZs) where she enhances the experiences of the students. Furthermore, together with members of staff of the Schools within the College, she creates projects with the students linking their studies and aptitudes to co-curricular activities to encourage a stronger school – community experience. The Youth Worker has set up the Bridges Youth Centre which will be based at the Mosta Youth Empowerment Centre in Triq il-Kurat Schembri, Mosta, with the kind permission of the Mosta Local Council. The purpose of this Youth Centre is to focus on non-formal and informal education activities which may include voluntary work, sessions on soft skills and work on specific project opportunities. Activities will run throughout the calendar year. She meets students from the two secondary schools within the College and the Wardija Resource Centre. The Bridges Youth Centre has been registered as a non-formal education Centre and participation of students will be acknowledged in their Secondary School Certificate. The Social Work Team, led by Ms Mandy Fenech and Ms Stephanie Camilleri Galea, within Maria Regina College is committed to provide an effective social work service to students of compulsory school age who are habitually absent from school. We support the students’ educational and personal growth by working within the students’ family and social environment. The social support worker, Ms Charlene Agius works in close collaboration with the College multi-disciplinary team, Directorate for Educational Services, and other professionals employed both within other government departments and non-Governmental Organisations. This ensures the maximum utilization of resources for the benefits of the students. Providing links between the school and home through social work intervention with habitually absent students, their families and school staff. Supporting and guiding students on personal, social and family matters that are affecting their school attendance and educational achievement. Ensuring that the law on compulsory education is adhered to by parents, keeping track of truant pupils and addressing issues that are leading to absenteeism. Preparing and presenting social reports for, and participating in, Education Tribunal Sittings, and the Juvenile Court. The Social Workers’ role is dealing with absenteeism both in primary and secondary schools. Currently priority is being given to primaries since working on prevention is the best way in dealing with secondary absenteeism. Students can be referred to the College Social Work Service by the school authorities, family or other parties. Students can also refer themselves. Last but not least, each member of this team works in tandem with each other and with other professionals within the College and the Department of Student Services to offer their services to students’ families, school, national and external entities with the aim of improving the student’s holistic development. All our services are offered throughout the scholastic year as well as during the summer months. Whilst offering our services throughout the scholastic year, one may reach us also at our main office found at: Maria Regina College Administration Centre, Triq l-Inkurunazzjoni, Mosta or on telephone number 25988001.